Notice! Rubi Hotel does not accept reservations at this time. Please try again later. Rubi Hotel Contact. 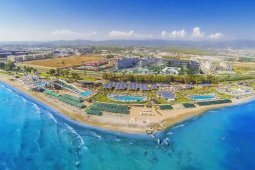 Located along the Mediterranean shores with a private beach area, Rubi Hotel has an outdoor pool and a spa centre with a Turkish bath, sauna and a massage room. Free Wi-Fi is accessible in public areas. All the rooms at Rubi are air-conditioned and include a TV, balcony and a minibar. There is a safety deposit box and a private bathroom with a hairdryer. The main restaurant offers breakfast, lunch and dinner in buffet style, accompanied with sea views. There are also 2 à la carte restaurants and a bar with refreshing drinks on site. Guests can play a game of billiards, tennis or darts. A fitness centre and a children’s playground are available. You can also benefit from the water sports facilities. 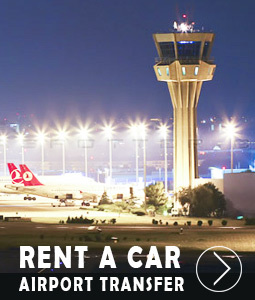 Antalya Airport is 102 km from Rubi Hotel. A shuttle service can be arranged on request at an additional fee. Free private parking is possible. Rubi Hotel accepts VISA and reserves the right to temporarily hold an amount prior to arrival. Rubi Hotel accepts Master Card and reserves the right to temporarily hold an amount prior to arrival. Rubi Hotel accepts Maestro and reserves the right to temporarily hold an amount prior to arrival. Rubi Hotel accepts Bank card and reserves the right to temporarily hold an amount prior to arrival. Free buffet meals in the morning, lunch and dinner. Some national alcoholic and non-alcoholic beverages are free of charge between 10.00-24.00 and 21.00-24.00 free of charge. A la carte restaurants were booked and free. The minibar is filled with 1.5 liters of water every day. The certified air conditioners operate according to seasonal conditions. A Block is located on the sea side, and Block B is located on the road. Between the two blocks there is an underpass for the hotel. Reception, lobby and other units in Block B; restaurant, a la carte restaurant and snack bar are located in A Block. The entrance to the Rubi Hotel rooms starts at 14.00. The departure time from the rooms is no later than 12.00. Tesise pet is not accepted. The use of some of the open spaces that serve as a survey can be limited depending on the seasonal conditions. All Inclusive accommodation on premises starts with dinner and includes dinner until the number of nights stayed and ends with lunch on the day of departure.